It’s hard for fans to not fangirl over a celebrity in person and it’s true even when the event has people who work in the entertainment industry. 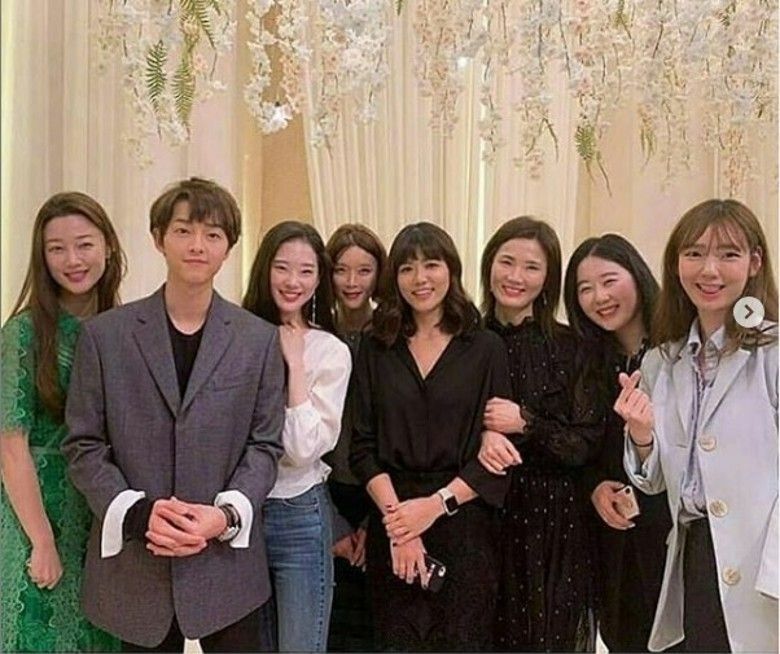 This weekend at the wedding of entertainer-actor Kwang Soo‘s long time manager, the actor and his good friend Song Joong Ki were in attendance and understandably mobbed by the ladies. The two pictures to come out from the wedding are hilarious especially Song Joong Ki. He’s literally a prop dropped into seven ladies all thrilled to snap a pic with the top actor. 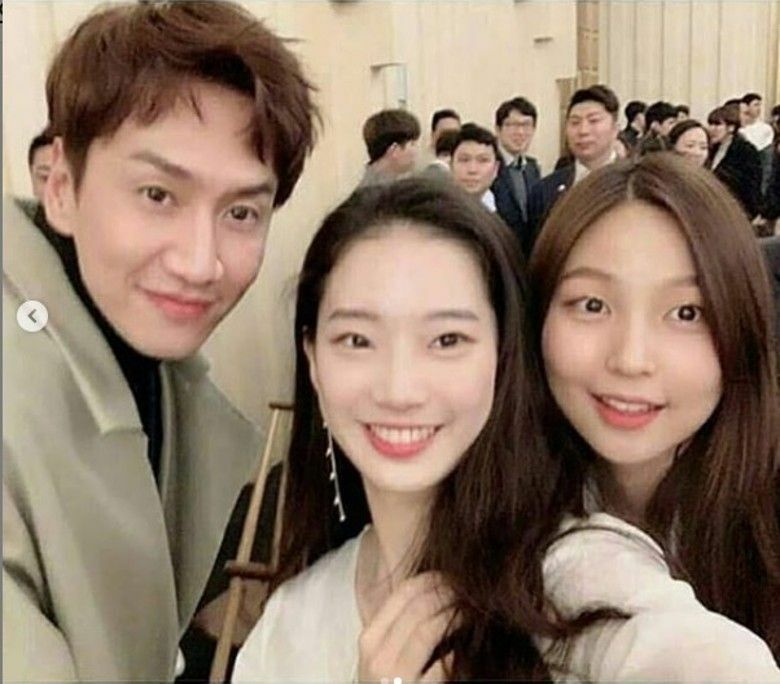 Kwang Soo also took a picture with two ladies of his own, and honestly everyone looked like they were happy to be there, happy to take pictures, and generally this is such a positive happy moment to post about rather than the litany of scandal. I think that hairstyle is for his drama i saw some Unofficial stills and his hair is long with some color. He’s not maturing well…..that’s what I noticed this past year. Maybe he needs to put on some weight and work out. His face looks so tiny and hands look so big …what a weird photo. Wow SJK looks like a high schooler here. Hope he gains his weight post asadal shooting. He looks like teenager. SJK looks like a girl with that coconut bowl haircut and oversized ill-fitting jacket. LOL. I’m guessing the gal in white next to SJK is a friend or maybe someone with whom he works with, someone who he’s “close” enough with thru work setting. Because to me, it just seems wrong for a fan to be resting her hands on his shoulder like that. Didnt all handsome guy will look pretty with longer hair? No?